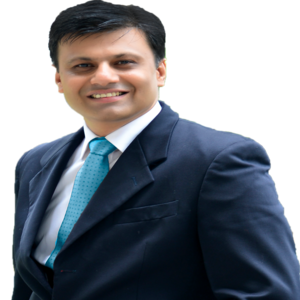 Nilesh Goswami is an Author of #1 Bestseller "7 Secrets to Get Your Dream Life", certified NLP Coach, Stress Management Professional, a Memory Trainer. He is an ex Indian Engineering Services officer and MBA (Gold Medallist). He is also a member of the International Stress Management Association (ISMA), India. Nilesh has 20 years of rich experience with many organisations of repute and has worked across various industries. This experience has given him a leading edge to understand and resolve issues of his clients. He has been empowering people and organizations through his unique scientific methods of coaching and counselling. Nilesh provides Individuals and organisations with the opportunity to thrive through promoting their well-being and managing stress, and psychosocial risks. He is committed to the overall well-being of individuals and the organisations and to help them live a wonderful life. His mission is to make the life of people beautiful by helping them to achieve the peak performance in all the fields be it in health, relationships, finances or career. His motto is to bring smiles back into our client’s life- not only by removing their past pains but also by making the present better along with creating positive patterns for the future.